Mor Zucker is the co-founder of Team Denver Homes with Kentwood Real Estate Cherry Creek and is a member of several global networks which include Leading Real Estate Companies of the World, Luxury Portfolio International, and Who's Who" in Luxury Real Estate. Her marketing and technology efforts have garnered her "Best Overall Marketing Package Agent" award (2017), the "booj" award (2016), and she has been nominated by Luxury Real Estate for "Most Innovative Marketing Technique" (2016, 2015, 2014); "Best Overall Marketing Package" (2016, 2015); and "Outstanding Social Media Savvy" (2016). Mor is also the Founder of the website, The Denver Ear, a news and media outlet that focuses on local events, restaurants, and family activities in Denver. 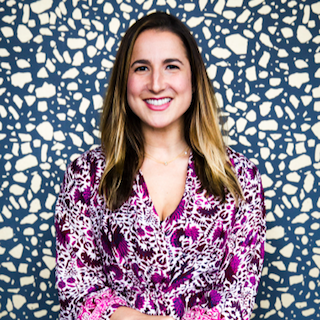 Loren Brill is a New York City-based entrepreneur, healthy lifestyle advocate, and disruptor in the food industry. She is the Founder & CEO of Sweet Loren's, an insanely delicious cookie dough company made from only simple ingredients. Beating cancer at a young age, she made it her mission to eliminate processed foods from her diet. When she couldn't find great tasting cookies made from clean ingredients, she decided to make her own. Sweet Loren's was born. A true challenger brand, Sweet Loren's is disrupting the status quo on the shelf with a better-tasting, better-for-you product making a universal cookie that all can enjoy. Loren was chosen as Marie Claire's Top Entrepreneur and a GirlBoss, and has also been featured live on NBC's Today Show along with many other national publications. When she is not cookie dough hustling, she is blogging for the Huffington Post, going on spontaneous adventure trips, meditating or going for a run, having dinner parties, or figuring out how to be bi-coastal. Loren graduated from the University of Southern California with a BA in Communication and is a certified Hatha Yoga instructor. She believes in living life to the fullest without regrets, finding your deepest passions, and all the while, finding ways to maintain balance. Raj's story goes a little something like this... Beautiful design evokes emotion. Emotion stirs the soul and creates a connection between client, agent and the home buying or selling process. The Boutique Real Estate Group has invested heavily in bringing all aspects of the real estate experience completely in-house. From custom design, professional staging, architectural photography, cinematography, and social media to technology, internet optimization, cloud-based transaction management and global listing syndication. This not only provides The Boutique with complete control of the design, marketing & technology of luxury real estate but also gives them the look & feel of a true boutique marketing agency. This design & tech-forward approach has earned The Boutique Real Estate Group accolades & awards worldwide. In 2017 Raj & The Boutique were awarded The Real Estate Influencer of The Year by Inman News, Most Innovative Brokerage, REAL Trends Finalist for Best Overall Website and the #1 Real Estate Video Influencer Award. In 2016 Raj was named to the prestigious SP200 Honoring The Most Powerful 200 People in Residential Real Estate. 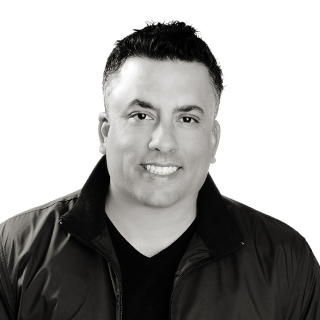 The Boutique was an Inman News Innovator for Most Innovative Real Estate Brokerage in 2016, Most Innovative Technology in 2015 and Raj was selected as Most Innovative Real Estate Agent in 2014. Raj was also selected as 33 People Changing The Real Estate Industry by Inman News. The Boutique was also awarded Best Real Estate Video for 2014 by Placester and Raj was also named Top 100 Most Influential Real Estate Leaders For 2013 By Inman News. The Boutique Real Estate Group was recently selected as The 2014 Next Generation Real Estate Brokerage by Better Homes & Garden Real Estate & 1000 Watt Consulting. As a National & International Speaker, Raj travels the world and has taken the stage at some of the most prestigious real estate conferences educating Real Estate Professionals on the value of Marketing, Technology & Social Media. Kendall Butler is a wife, mother of four, top producing real estate broker, and the Founder of F.L.I. Properties. She wins in the market by utilizing her professional experience in the areas of Customer Service, Project Management, Process Improvement, Quality Control and Team Leadership. Kendall has a Master’s degree in Real Estate Development and a BS in Chemical Engineering, both from Auburn University. She is a 5-star certified REO expert, a New Construction expert, an Accredited Buyer's Representative, and a Certified Property Manager. Kendall has been named one of the top 5 young professionals in GA real estate by GAR, Top 10 agents in GA by Real Trends and Top 250 agents in U.S. by Real Trends. 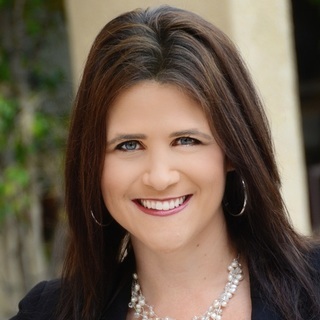 Kendall takes pride in providing exceptional real estate advice and educating each of her agents and clients. She has grown her company by being customer focused, data driven, results oriented and being THE market expert. 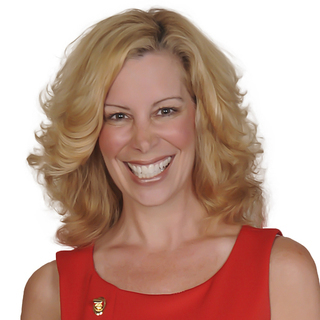 Realtor®, author, trainer, and coach Krista Mashore developed a highly successful real estate career in Northern California before turning her attention to sharing the secrets to her success through her writing, coaching and trainings. Krista sold 69 homes in her very first year in the business and has sold well over 100 homes every year since, earning her a spot in the Top 1% of Realtors® in the nation. Krista’s innovative approach flies in the face of conventional wisdom about how Realtors® should promote themselves and market their listings. Through her books, coaching, webinars, and courses, Krista now offers step-by-step instruction so others can achieve that same success. Krista lives in Northern California with her husband and three teenaged children. An active member of her community, her latest project is Teens Lifting Lives, a mentoring and peer support group that gives young people the tools and encouragement they need to achieve their own success. Glenn had important roles at Internet start-ups before launching a real estate career in 2002. 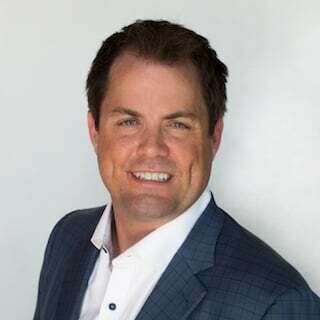 In his fourth year in real estate with a major national franchisor, his team closed more than $60 million in real estate by connecting with consumers online, and Glenn was a significant contributor to the franchisor’s internet lead generation program. Glenn believed that agents and brokers do the heavy lifting in real estate and deserve benefits of being a shareholder in their company and income based on the level of their contribution. In early 2007, Glenn launched BuyerTours Realty, LLC, a combination of web and traditional bricks-and-mortar offices. During the economic downturn in 2008, Glenn had an idea for how to save overhead costs associated with owning a brick-and-mortar brokerage and give agents the opportunity to be shareholders in their company. In October 2009, eXp Realty, LLC launched as the first cloud-based, national real estate brokerage. eXp Realty’s virtual office environment compared to the traditional real estate office allows agents to collaborate and learn together, no matter where they might be located. In 2013, Glenn took eXp Realty’s holding company, eXp World Holdings, public and in May 2018 moved the company’s listing to the Nasdaq Stock Exchange (NASDAQ: EXPI). Thaddeus Wong is the co-founder of @properties, the largest independently owned residential real estate brokerage firm in Illinois and one of the 12 largest brokerage firms in the U.S. by sales volume. In 2000 Wong and business partner Michael Golden established @properties, and in 15 years have grown the company from $40 million in sales to nearly $7 billion in annual sales. Today, @properties has 20 offices in the city of Chicago, surrounding suburbs, southwest Michigan and southeast Wisconsin. The firm has divisions for residential and commercial brokerage, development marketing, relocation, property management and bank-advisory services. A highly energetic and creative entrepreneur, Wong is focused on implementing his vision for a real estate company in which both the broker and client experience the highest level of service and support. He is primarily responsible for the recruitment and retention of @properties’ more than 1,900 agents, as well as the development and implementation of the firm’s award-winning marketing programs. Wong also created and oversees the company’s signature training, education and performance-coaching programs utilized by hundreds of agents per year. David vs. Goliath: What is Your Slingshot? Jed Carlson is the chief executive officer of Adwerx, where digital marketing for real estate is brilliantly simple. Under Jed's leadership Adwerx has worked with over 100,000 agents and served over 11+ billion ad impressions. Jed continues to focus on the digital challenges that face small businesses, and build scalable, simple and affordable products to solve them. 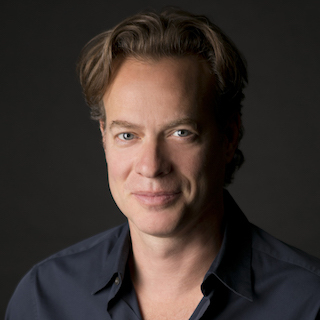 He is also an active angel investor, mentor and advisor to over ten tech startups. 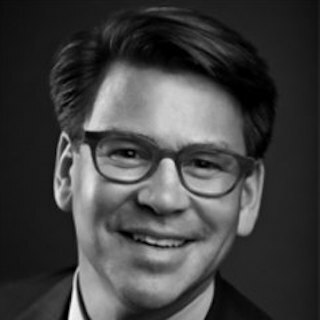 Jed is a frequent speaker and panelist at conferences on technology and digital marketing. Jed’s commitment to leveling the playing field for small businesses is equal only to his devotion to guiding other entrepreneurs to success. Kendyl Young is the founder and owner of DIGGS, a residential boutique brokerage in Glendale CA. Kendyl’s customer first, detail oriented style of business has led to 27 successful years of selling and the launch of her own brokerage. Kendyl is named on Inman’s List of Influential Real Estate Leaders and is a popular writer, speaker and thought leader in the industry. Chris Lazarus is the Chief Operating Officer, Broker and Owner of Sellect Realty in Marietta, GA. Within 3 years of taking over the helm of the family company, Chris increased sales by 48 million dollars and grew Sellect Realty right onto the University of Georgia's Bulldog 100 as the 83rd fastest growing company. In the process, he's created a company that is close-knit, collaborative, and forward-facing, embracing new technology successfully and revolutionizing the home-buying process in the Atlanta area. A valued and recognized contributor professionally, Chris has been recognized for his expertise by being asked to speak, repeatedly, at national real estate conferences, on national radio shows, and now he can be found on his own podcast, designed to help others grow in the real estate business by better embracing today's technology. Chris leads by example, actively involved in fundraising for various professional and charitable organizations, and is always the first to volunteer and the quickest to step up and put in the longest of hours. He is generous with his time and knowledge and his work ethic is unmatched. Chris is the co-founder of Redefy Real Estate, serving as President and Chief Technology Officer. He created the company's custom CRM, and is the project architect for its valuation model, smart-home-device skills and call center automation. He enjoys implementing undiscovered tech to enhance operations. As a thought leader, Chris contributes regularly Forbes, Realtor Magazine, RealTrends and Inman News. 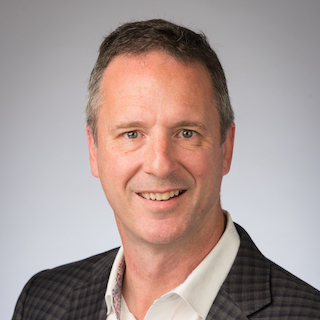 "After 16 years as the Director of Operations at MCI/Verizon, Keith Dunham left the telecommunications industry to focus on real estate technology. He successfully started the Austin branch of Zip Realty before joining the HomeCity team in 2011. Since then, he’s used his acquired leadership skills and knowledge to transform the company into a powerful, technology-driven brokerage, with an undeniable edge on the competition. 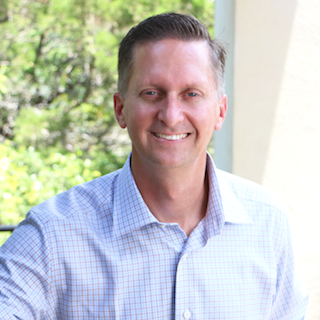 By merging cutting edge technology with powerful business strategies, Keith continues to redefine the Texas Real Estate landscape." Homecity is one of the 50 fastest growing companies for the past 3 years under Keith's leadership. We have offices in Austin, Dallas and Houston Texas. Barbara Betts, has been a licensed REALTOR® since 2003. Together with her husband they own The Betts Realty Group, a boutique brokerage located in Long Beach, California. As a Broker/Owner she has a clear focus on building a brokerage for the future, with innovative ideas, creative thinking and a family like culture. For her entire career, she has had a philosophy of “Real Estate by Relationship” where she has consistently built a business that has resulted in a steady stream of repeat and referral business. Recognized as a top producer, her true joy is in helping her clients reach their real estate goals, whether buying, selling, or investing. 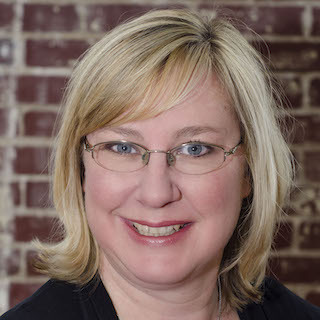 She has a passion for her industry and gives back by teaching and coaching other REALTORS® and is highly involved at the local, state and national levels. In her spare time, you can find her at a dance event with her daughter or supporting her son in his professional baseball career. 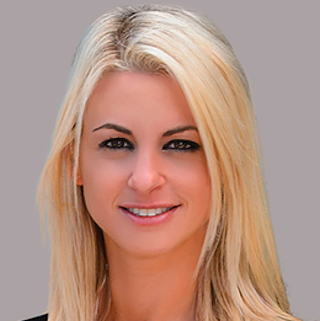 After just five short years of opening the doors to her independent brokerage, Tiffany has continued to grow the company and has had the honor of being recognized locally and beyond as a rising top producer and innovator in the real estate world. She has a true understanding of branding and the importance of innovation and creativity to allow the company, its Realtors and in turn, every customer and their properties stand out. Tiffany credits McQuaid & Company’s continued success to her hand-picked team approach, the brokerage’s "adding value" to real estate method of caring and relationship building, and her focus of always "giving back" to the community as a top priority. She was the recipient of the Women’s Council of Realtors Entrepreneur of the Year Award and voted by Inman News as a Real Estate Industry Influencer in 2017. Locally Tiffany has been recognized as one of Florida Weekly Newspaper’s Power Women as well as Florida Gulf Coast University’s Distinguished Entrepreneur in 2016 and Gulfshore Life Magazine's "Five Star Best in Client Satisfaction" Award. As a brokerage, Tiffany’s firm holds big agency power, being nominated for the “Most Innovative Brokerage” award by Inman News is one of the many brokerage awards she takes great pride in. Tiffany has been blessed to be mentored for several years by Barbara Corcoran, a real estate mogul as Founder of the Corcoran Group and TV personality on the hit show Shark Tank, and believes strongly in paying it forward by mentoring others. Sean Z Becker is the owner and principal broker of Sean Z Becker Real Estate. As a Portland native, Sean grew up working for his father’s wood flooring business. Restoring floors in countless Portland homes, he saw the true scope of what the PDX market has to offer the world. 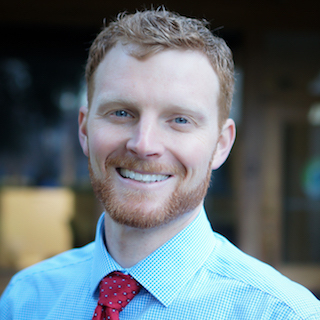 He now represents individual buyers and sellers of single-family homes and condominiums and works with local urban developers in the greater Portland area. Now in its tenth year, the firm was recently ranked the #5 Hottest Residential Real Estate Firm in Portland by the Portland Business Journal, is #1 in sales in the 97239 zip code, and was nominated in 2017 for Inman’s Most Innovative Brokerage Award. Sean is also a contributing member of the Forbes Elite Real Estate Council. Sarah Kirsch Richardson has become one of the preeminent leaders of residential real estate in the Phoenix-valley. As Founder and CEO of the rapidly growing brokerage Tru Realty, she is responsible for the multiple growth avenues the company is pursuing. 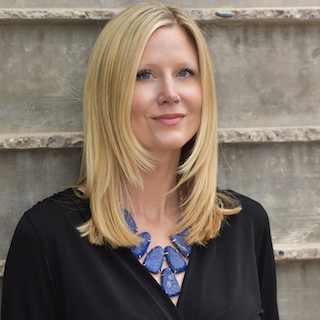 Sarah began Tru Realty in 2010 to take advantage of an unexploited change in the Arizona marketplace, the shift from auction-centric to MLS-centric fix/flip deal flow. 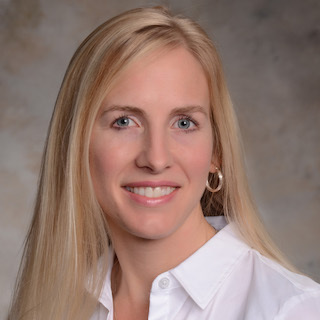 Sarah also delivers to traditional Buyers and Sellers and has implemented a proprietary training curriculum for agents directly out of real estate school. Operationally Sarah has fully integrated and transformed Tru Realty digitally and provides full service marketing solutions to her agents at a fraction of the cost of a traditional brokerage model. Erica Ramus is a Schuylkill County native and a graduate of St. Clair Area High School. She earned degrees at Armand Hammer United World College of the American West in New Mexico (I.B. ), University of Delaware Honors Program and Kutztown University (B.A.). She holds a Master’s Degree in Real Estate (MRE) and in 2013 was part of the first class to complete this program. She sits on committees at both the state and national level (PAR and NAR) and writes for INMAN News and The Real Daily. Erica started Schuylkill Living Magazine in 1997, the region's only full color lifestyle magazine which is still published today under new ownership. She opened her real estate brokerage in Pottsville in 2007. She is extremely active in the community, especially in the Schuylkill Chamber of Commerce (Past President) and is a Past President of the Rotary Club of Pottsville. The Ramus family hosts exchange students and has had students live with them from France, Russia, Germany, Uzbekistan, Turkmenistan, Bangladesh, Mexico and Ecuador. They live near the Appalachian Trail, and are occasional “Trail Angels” or hosts who help travelers on their way through this part of northeastern Pennsylvania. Besides listing and marketing properties for sale, she also handles commercial and investment transactions, and real estate consulting services. In 2009, she opened Schuylkill Appraisal Services. Many area firms call her to help in recruiting executives to the area due to her local expertise and involvement in the Chamber of Commerce. Broker/Owner | Lamacchia Realty, Inc. Since launching his real estate career in 2014, Charlie has been recognized nationally and locally as a thought-leader and driver of new, consumer-driven real estate practices. 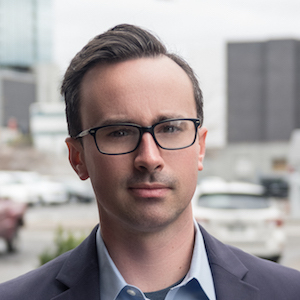 His prolific writing and sales performance grew Charlie's demand as a mentor and coach for agents, which was the genesis for launching TYLER YORK in January of 2018. Charlie believes the best brokers have a strong entrepreneurial spirit, with the skills and passion to drive transaction success. Compelled by the need for a higher standard of real estate professional, Charlie founded TYLER YORK with the simple premise that different real estate companies thrive with different kinds of agents, with different skills and expectations for their career; but TYLER YORK will thrive with only the most professional, creative, and entrepreneurial brokers, willing to specialize their skills and become unignorable service professionals in their respective markets. He believes that agents wishing to work part-time, as a hobby, or on a down-stream pyramid-model may have a chance at a fulfilling career--but not at TYLER YORK. Marrying a professional ethic with a business model designed for collaboration and support, Charlie believes a real estate company should be grounded in a spirit of "out-doing one another in showing honor" (Romans 12:10) and rejoicing in each other's accomplishments, learning from each other's talents, and always modeling services after what is best for the consumer. 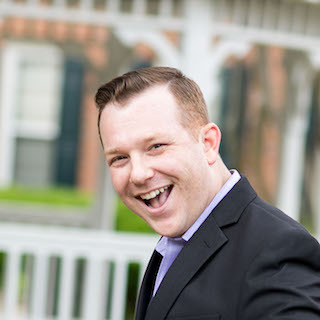 Dan is co-owner and Director of People and Culture at Kendrick Realty. Kendrick is re-aligning the broker-realtor relationship by providing lead generation, extensive training, and support. Dan’s main role is to recruit, train, and support high performing agents, and foster a positive culture of high performance and fun. 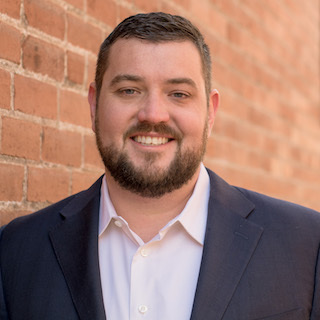 Prior to Kendrick, Dan was a learning and workplace performance consultant for companies ranging from small start-ups to Fortune 1000 enterprises, across a range of industries including real estate, banking, manufacturing, health care, human services, and education. Dan earned his B.A. from the University of California, Berkeley and his PhD in Organizational Behavior Management from Western Michigan University. 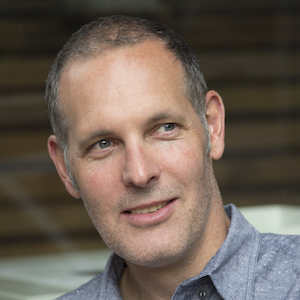 Dan is a published author and has served as University lecturer on Organizational Performance. 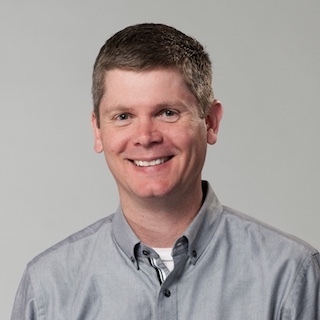 Dan also serves as a guest editor for academic journals including the Journal of Organizational Behavior Management, and the Journal of Applied Behavior Analysis. When he’s not working, Dan enjoys sailing and taking advantage of all the other outdoor activities California has to offer, and travels at every possible opportunity. Yuval Degani is the founder and president of Dream Town Realty. Celebrating 20 years in business in 2018, Degani has grown the company to 400 brokers and $1.3 billion in sales. 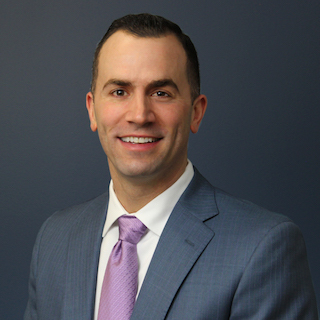 As a life-long learner himself, Degani has always supported agents furthering their education and expertise in the ever-evolving Chicago real estate market. He even set up an in-office spa and brought in a personal masseuse, meditation and yoga instructors to help agents stay fully focused and stress-free - and prepared in every way to provide clients with unsurpassed customer service and top professional guidance. Degani recently started up a coaching program called the “Growth Groups.” Launched to a number of agents to get to the next level with their sales—which had peaked in the $8 million to $12 million range—the program helps them evolve and grow their businesses. Two-thirds of the participants increased their business by 50 percent. Degani says that the most satisfying aspect of this for him was watching the brokers socially engage and then use that energy and input to transform their lives and their businesses.Growth Groups is just one of the many ways Degani has aligned his firm with his own life visions and goals.